Deformity surgery is one of the more challenging procedures in spinal surgery and can account for long operative times and blood losses. Even among Fellowship-trained Deformity Surgeons, many studies show intraoperative adverse events and related postoperative complications rate of 10 to 15%. Significant blood loss in posterior spinal fusion (PSF) surgery for paediatric and adult scoliosis can cause haemodynamic complications and increases the incidence of allogeneic blood transfusion. The increased risk of intra-operative bleeding is related to the long incision, extensive soft tissue dissection, multi-level decompression surgery, decortication of bony surfaces and prolonged operative time. Allogenic blood transfusion and increased operative times have been associated with increased infection rate (Shen et al). Surgical site infections (SSI) in spinal deformity surgery carry a very high morbidity to the patient, the family, and a high cost to society. Operative time greater than 5 hours has been associated with higher rates of infection. 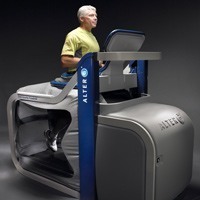 The AlterG® calibrates the users’ body weight and then inflates an airtight chamber to allow the patient to exercise at a specific percentage of their body weight. By decreasing the weight and ground reaction force, patients can rehabilitate while reducing the risk of further injury, which facilitates faster healing. Patients of all ages and fitness levels can benefit from this unique & innovative treadmill. 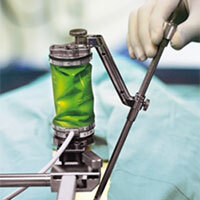 It is suitable for recovery after a wide variety of spinal and lower limb surgical procedures. It gives patients the confidence and ability to run or walk longer and heal faster with less pain. Also ideal for patients not suitable for hydrotherapy. Now available at our Bella Vista rooms, please contact us to discuss if the AlterG is right for you. 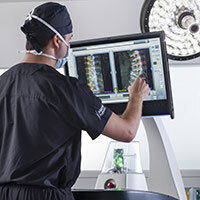 Utilizing Mazor Robotics Renaissance® Guidance System in a spine program can improve the execution and outcomes in a wide variety of procedures, including: minimally-invasive and percutaneous degenerative repair, pedicle screw fixation for complex spinal deformity, and vertebral augmentation. Renaissance® provides increased safety and precision in corrective surgery. It allows surgeons to plan ahead before entering the operating room; Mazor Robotics advanced 3D planning software is used before surgery to create the ideal procedure for each patient’s condition. During the operation, the physician does the actual work; Renaissance® guides the surgeon’s tools according to the predetermined blueprint to place the implants safely and with the highest level of accuracy in the exact planned locations. Patients who have surgery performed with the Renaissance® Guidance System can experience faster recovery time, allowing them to return to their normal daily activities in less time than those who received surgeries via traditional methods. Clinical studies have shown patients may experience less pain following spine procedures performed with the assistance of the Renaissance® Guidance System. 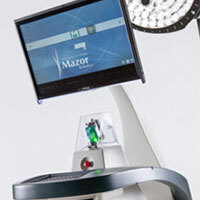 Clinical studies based on surgeries performed with the Mazor Robotics Renaissance® Guidance System have shown increased favourable patient outcomes, including lowered surgery complication rates. Please discuss with Dr Hsu if the Mazor Robot can be used for your surgery.